The early bird ticket offer for the Donington Historic Festival has been extended for a further week, allowing retro motorsport fans an even longer opportunity to get the best value tickets for the event. Click here to book now! Fans now have until Thursday 7 February to take advantage of savings of up to £5 off selected tickets, including the full three day weekend option, for one of the world's foremost historic racing occasions. 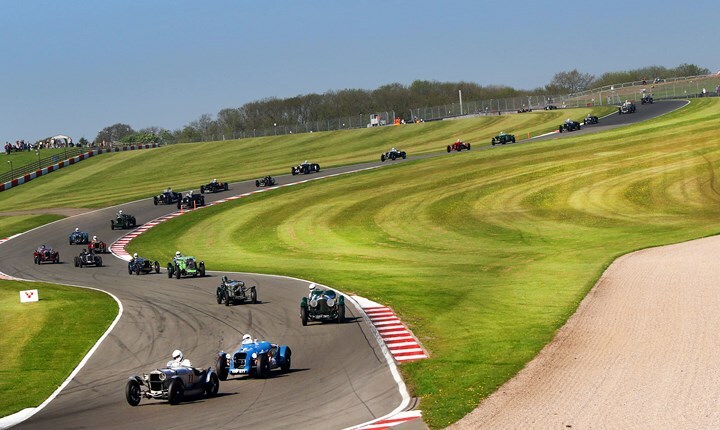 Organisers are also on the verge of confirming the full timetable for this year's event, with another three day spectacular expected, packed to the brim with historic touring cars, saloons and sports cars, all recreating sights and sounds from yesteryear. As well as the stunning racing, a massive programme of entertainment is also being put together, including parades and demonstrations, huge car club displays, pit walks and themed trade areas. Early bird tickets are now available until Thursday 7 February, priced from just £21. For more information or to book, click here or call 0843 453 3000.